Pass the professional skills tests for teachers using this unique revision guide full of practice questions and mock tests. Mock tests and 100s of practice questions. Planning on becoming a teacher? If so, then you need to know what you’re getting into. This guide covers the three main areas you’ll want to brush up on before embarking on your journey to obtain your dream career. Firstly, you’ll need to know how to pass the two professional skills tests – the QTS literacy skills test and the QTS numeracy skills test. These are the two tests that you must pass in order to become a teacher. This guide covers all of the content that you need to ace both of the professional skills tests. After this, you’ll need to know how to get into teaching. There are many routes into Initial teacher Training, each with different requirements and structures which will suit different people. Fortunately, this guide covers all of the major routes into teaching, from Teach First to PGCE, including what qualifications they are looking for, and what will be expected of you. You will also get access to expert advice on application and interview techniques to increase your chances of getting your dream role. QTS (Qualified Teacher Status) is the award required to teach in England and Wales. If you want to become a teacher in any state school, whether primary or secondary, you need to pass both of the professional skills tests and undergo teacher training. For this reason, it is vital that you are prepared for all of the steps on your journey to acquiring QTS. WHAT IS THE PROFESSIONAL SKILLS TESTS? The professional skills tests gauge your skills in literacy and numeracy. 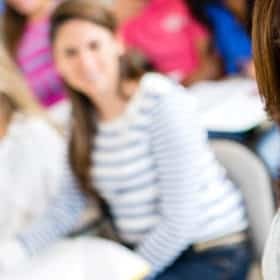 Essentially, they ensure that your ability of both subjects meets the standard required for teaching. No matter what kind of teacher you plan on becoming, you need to be able to demonstrate a firm understanding of literacy and numeracy. The test can be tricky, so it’s best to be prepared! Both of the tests are computerised, and both are divided into sections. The literacy skills test is divided into four sections, covering spelling, punctuation, grammar and comprehension. In each section, you will be required to answer questions in different ways. For example, the spelling section involves listening to words and then typing them how you believe them to be spelled. In contrast, the comprehension section requires reading an extended piece of text, then answering a range of questions. You must score 60% in the literacy skills test in order to pass, and you have approximately 45 minutes to complete it. The numeracy skills test is divided into two sections. The first covers mental arithmetic questions, which you will need to listen to through headphones and solve in about 20 seconds. The second section focuses on written arithmetic – including data interpretation as well as general arithmetic – and gives you some more time for each question. In order to pass the numeracy skills test, you must score at least 63%. The time limit is 48 minutes. Unlike the other punctuation marks in this chapter, the semi-colon is very rarely necessary. Its role in language is to link two related sentences together. Generally speaking, it is used to make a text more varied or assist with the flow, but it isn’t necessary. Many accomplished writers will never use semi-colons because it isn’t part of their style, while others may use them frequently. By joining them with a semi-colon, it’s clear that they relate to one another. Excluding the final point, each item on the bulleted list is suffixed with a semi-colon. An exclamation mark is used to show commands or other statements which are either forceful or surprising. It is mostly used in dialogue to express a raised voice, but it can also appear in ordinary text as well. Like the question mark, it operates in the same way as a full stop: it signifies the end of a sentence. Brackets are used to denote an aside or other additional information without disrupting the flow of the sentence. Usually these details aren’t absolutely vital, but are added for extra clarification. The contents inside the brackets are usually afterthoughts. This cannot be simplified any further because 7 is a prime number. This means that it is only divisible by 1 and itself (7). 15 is divisible by 1, 3, 5 and itself (15). Since dividing by 1 won’t simplify the fraction any further, and there are no other numbers which both 7 and 15 are divisible by, this fraction is as simple as it can be. Simplification of fractions might not appear on its own as a question topic, but it will be vital for most questions which include fractions. For subtraction, the exact same process is followed, but by subtracting the top two numbers rather than adding them together. Detailed breakdowns of both tests – this book covers the content of both of the ITT professional skills tests. It includes explanations for all kinds of question so that you know how to face anything that either test throws at you. Sample questions for both tests – with over 75 sample questions in total, this book equips you with the practice you need to identify your strengths and weaknesses, then overcome them by studying hard. Answers and explanations – both the literacy and numeracy sample questions include explanations on how to reach the correct answer. So, if you’re unsure of where you went wrong, you can compare your working to the correct solution, allowing you to turn your weaknesses into your strengths. Mock test – This book also comes with two bonus mock tests which allow you to practice even more. 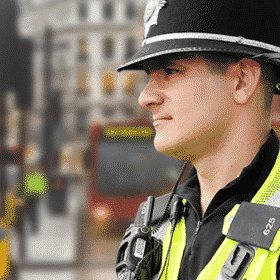 By simulating the real test, the mock exams are the perfect way to work on your timing and planning, as well as familiarise yourself with the format of the professional skills tests. A guide to Initial Teacher Training – this book also features an extra chapter focusing on the routes into Initial Teacher Training. This allows you to figure out the way into your dream career which best suits your personality, qualifications and lifestyle! 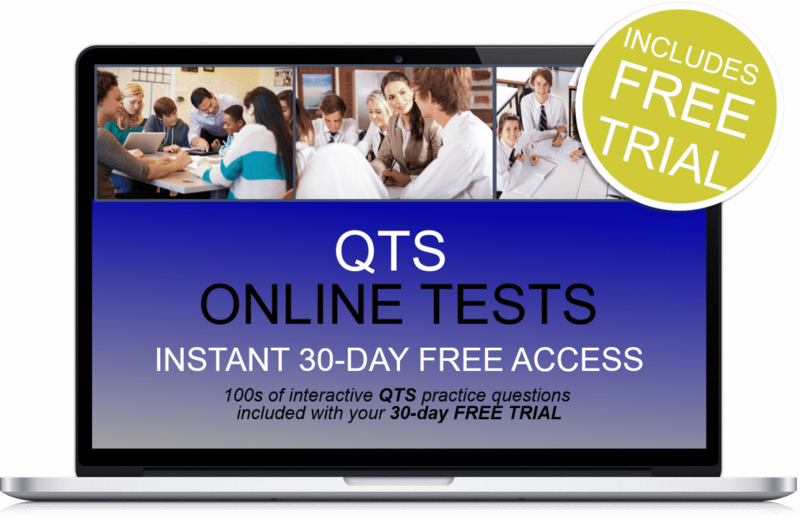 You will receive 30-days FREE ACCESS to our comprehensive online testing suite that will give you access to 100s of interactive QTS test questions to help prepare effectively for your QTS exams! Plus, they are all available to access via any smart device, PC or MAC. After the 30 days free trial is over, the service is automatically charged at just £5.95 plus vat per month with no minimum term. You may cancel at any time by contacting us at info@how2Become.com. If you cancel before the 30-day trial is up, you will not be charged. See our terms and conditions for more details. 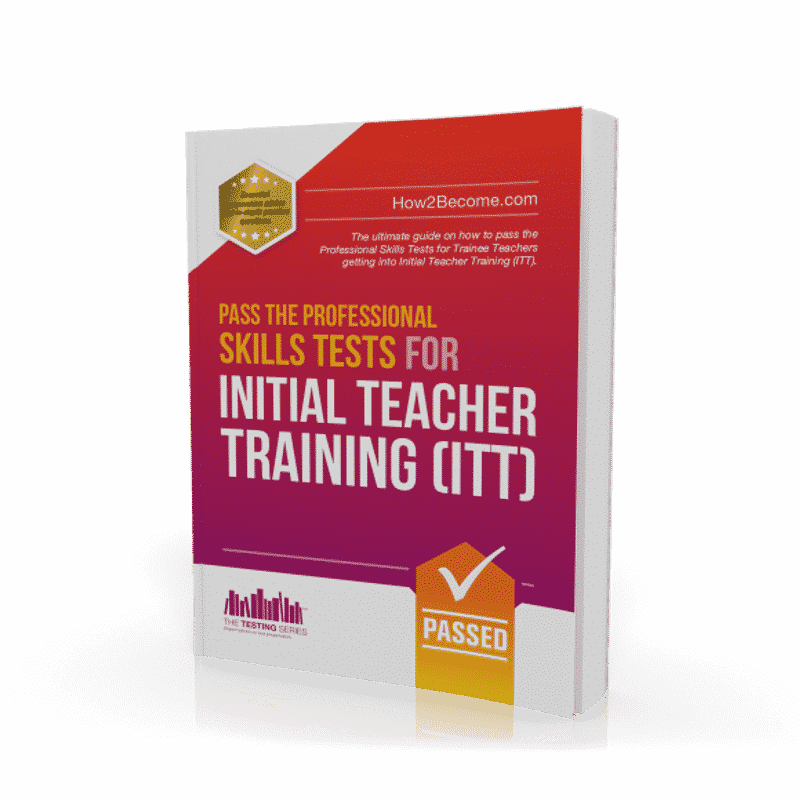 Guide to ITT - this guide contains a final bonus chapter giving you guidance on how to begin initial teacher training (ITT), putting you on track to achieve your dream career.